Autoloss is your diminished value claim expert proudly providing Diminished Value claim services for Diminished Value claims, diminished value appraisers & helping you with all your diminished value questions. Our appraisal experts are here to take care of the hassle for you and get you the most for your diminished value claim. Serving all 50 states and BBB Accredited! 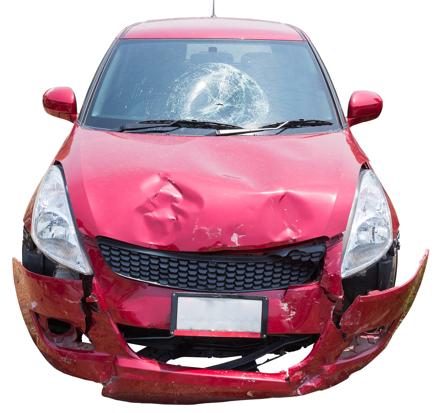 Diminished Value is the loss of a vehicle's market value after an accident. Buyers tend to be less likely to purchase a repaired vehicle, so its value diminishes after an accident. In many cases, you are entitled to the loss in market value. AutoLoss helps by providing third party diminished value appraisals to help you potentially recover more from your insurance company. Do You Qualify For Diminished Value? Depending on the state the accident occurred in and the circumstances surrounding the accident, you may qualify for diminished value. If you do, the insurance company will owe you the difference between the repaired vehicle's value and the value prior to the accident. AutoLoss is the expert at helping consumers claim and receive diminished value. Do they work for the insurance company? Do they sign their reports? Are they approved Court Experts? Did you get a free quote to make sure their quote is accurate? Do they offer a physical inspection? Do they have the necessary experience to be credible in a court of law? Will they appear in a court of law as your expert witness? Is the appraisal specific to your car? Our diminished value claim experts are local, professional, and independent. We never work for the insurance company. We only work for consumers. We are committed to helping our customers recover the full amount of your vehicles lost value. Autoloss diminished value appraisal reports are widely accepted by insurance companies, and this can significantly improve your diminished value results. We are licensed auto appraisers – which ensures that your appraisal will be accepted in all 50 states by all insurance companies. Our diminished claim experts have found that auto appraisers that work for the insurance companies will document a diminished value estimate that is approximate 10%-20% of the real diminished value you are owed. Insurance Appraisers have to come in with a lower diminished value amount because they do not want to lose their good standing with the insurance company. Insurance Companies will send auto appraisers thousands of claims vs. your one claim. Who do you think the claim appraiser is working for? Don’t be fooled. 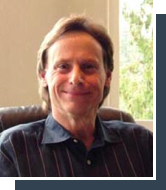 Terry Fisher has been considered one of the leading experts in the United States on Diminished Value. With over 30 years of experience, Mr. Fisher has been frequently called on to serve as a court appointed automobile expert in arbitration, municipal courts, and bankruptcy federal court. He has consulted for hundreds of prominent attorneys as well as numerous financial institutions around the nation regarding automobiles. Since 1999, Monica Fisher has been recognized as an expert appraiser and negotiator in Diminished Value settlements and Total Loss evaluations. 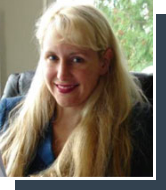 She has over 15 years of experience in all areas of the automotive field as well as thousands of hours of training in the field as a automotive appraiser and negotiator. She is considered to be one to the leading appraisers and negotiators in the automotive industry. She is also a licensed appraiser. Monica Fisher has written over 20,000 auto appraisals including, but not limited to, Diminished Value claims, lease trade in reports, loss of use claims, and repair orders. All fields are required in order to get an accurate estimate. Autoloss is the industry leader when it comes to diminished value. We've been in business for more than 20 years, and we've helped our customers recover millions in diminished value claims. 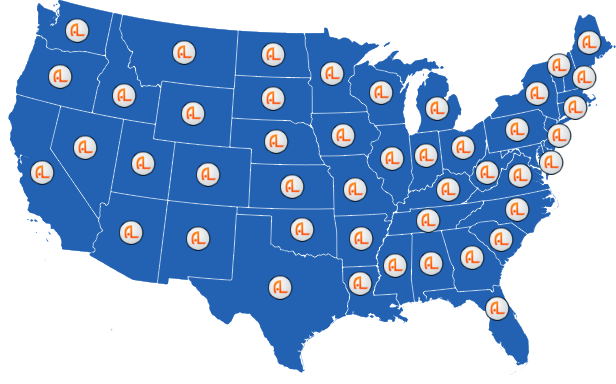 AutoLoss provides diminished value appraisals and claim service across the USA. Get more info on your state. AutoLoss provides third-party diminished value appraisals to help consumers recover diminished value in Kansas and surrounding areas such as Wichita | Overland Park | Kansas City | Olathe | Topeka | Lawrence. AutoLoss provides third-party diminished value appraisals to help consumers recover diminished value in South Carolina and surrounding areas such as Columbia | Charleston | North Charleston | Mt. Pleasant. AutoLoss provides third-party diminished value appraisals to help consumers recover diminished value in Georgia and surrounding areas such as Alpharetta | Athens | Columbus | Atlanta | Macon. AutoLoss provides third-party diminished value appraisals to help consumers recover diminished value in Alabama and surrounding areas such as Birmingham | Montgomery | Mobile | Huntsville | Tuscaloosa | Dothan. AutoLoss provides third-party diminished value appraisals to help consumers recover diminished value in Tennessee and surrounding areas such as Nashville | Memphis | Knoxville | Chattanooga | Clarksville | Murfreesboro. AutoLoss provides third-party diminished value appraisals to help consumers recover diminished value in Virginia and surrounding areas such as Virginia Beach | Norfolk | Chesapeake | Richmond | Newport News. AutoLoss provides third-party diminished value appraisals to help consumers recover diminished value in Ohio and surrounding areas such as Columbus | Cleveland | Cincinnati | Toledo | Akron | Dayton. AutoLoss provides third-party diminished value appraisals to help consumers recover diminished value in Illinois and surrounding areas such as Chicago | Proviso Township | Rockford | Joliet | Naperville | Peoria. AutoLoss provides third-party diminished value appraisals to help consumers recover diminished value in Missouri and surrounding areas such as Kansas City | St. Louis | Columbia | Lee's Summit | O'Fallon | St. Joseph. AutoLoss provides third-party diminished value appraisals to help consumers recover diminished value in Oklahoma and surrounding areas such as Oklahoma City | Tulsa | Norman | Broken Arrow | Lawton | Edmond. AutoLoss provides third-party diminished value appraisals to help consumers recover diminished value in Arizona and surrounding areas such as Phoenix | Tucson | Mesa | Chandler | Glendale | Gilbert. AutoLoss provides third-party diminished value appraisals to help consumers recover diminished value in California and surrounding areas such as Los Angeles | San Diego | San Jose | San Francisco | Fresno. AutoLoss provides third-party diminished value appraisals to help consumers recover diminished value in Texas and surrounding areas such as Houston | San Antonio | Dallas | Austin | Fort Worth | El Paso. AutoLoss provides third-party diminished value appraisals to help consumers recover diminished value in Washington and surrounding areas such as Seattle | Spokane | Tacoma | Vancouver | Bellevue | Everett. AutoLoss provides third-party diminished value appraisals to help consumers recover diminished value in Portland and surrounding areas such as Portland | Salem | Eugene | Gresham | Hillsboro | Beaverton. AutoLoss provides third-party diminished value appraisals to help consumers recover diminished value in Montana and surrounding areas such as Billings | Missoula | Great Falls | Butte | Bozeman | Helena. AutoLoss provides third-party diminished value appraisals to help consumers recover diminished value in Idaho and surrounding areas such as Boise | Nampa | Pocatello | Idaho Falls | Meridian | Coeur D'Alene. AutoLoss provides third-party diminished value appraisals to help consumers recover diminished value in North Dakota and surrounding areas such as Fargo | Bismarck | Grand Forks | Minot | West Fargo | Williston. AutoLoss provides third-party diminished value appraisals to help consumers recover diminished value in Minnesota and surrounding areas such as Minneapolis | Saint Paul | Duluth | Brooklyn Park | St. Cloud | Eagan. AutoLoss provides third-party diminished value appraisals to help consumers recover diminished value in Wisconsin and surrounding areas such as Milwaukee | Madison | Green Bay | Kenosha | Racine | Appleton. AutoLoss provides third-party diminished value appraisals to help consumers recover diminished value in Michigan and surrounding areas such as Detroit | Grand Rapids | Warren | Flint | Sterling Heights | Lansing. AutoLoss provides third-party diminished value appraisals to help consumers recover diminished value in Wyoming and surrounding areas such as Cheyenne | Casper | Laramie | Gilette | Rock Springs | Sheridan. AutoLoss provides third-party diminished value appraisals to help consumers recover diminished value in South Dakota and surrounding areas such as Sioux Falls | Rapid City | Pine Ridge | Aberdeen | Brookings | Watertown. AutoLoss provides third-party diminished value appraisals to help consumers recover diminished value in Nebraska and surrounding areas such as Omaha | Lincoln | Grand Island | Kearney | Fremont | Hastings. AutoLoss provides third-party diminished value appraisals to help consumers recover diminished value in Iowa and surrounding areas such as Des Moines | Cedar Rapids | Davenport | Sioux City | Iowa City. AutoLoss provides third-party diminished value appraisals to help consumers recover diminished value in Indiana and surrounding areas such as Indianapolis | Fort Wayne | Evansville | South Bend | Gary | Hammond. AutoLoss provides third-party diminished value appraisals to help consumers recover diminished value in Nevada and surrounding areas such as Las Vegas | Paradise | Reno | Henderson | Sunrise Manor | Spring Valley. AutoLoss provides third-party diminished value appraisals to help consumers recover diminished value in Utah and surrounding areas such as Salt Lake City | West Valley City | Provo | Sandy | Orem | Ogden. AutoLoss provides third-party diminished value appraisals to help consumers recover diminished value in Colorado and surrounding areas such as Denver | Colorado Springs | Breckinridge | Boulder | Aspen | Fort Collins. AutoLoss provides third-party diminished value appraisals to help consumers recover diminished value in New Mexico and surrounding areas such as Albuquerque | Las Cruces | Rio Rancho | Santa Fe | Roswell | Farmington. AutoLoss provides third-party diminished value appraisals to help consumers recover diminished value in Arkansas and surrounding areas such as Little Rock | Fort Smith | Fayetteville | Springdale | Jonesboro. AutoLoss provides third-party diminished value appraisals to help consumers recover diminished value in Louisiana and surrounding areas such as ew Orleans | Baton Rouge | Shreveport | Lafayette | Lake Charles | Kenner. AutoLoss provides third-party diminished value appraisals to help consumers recover diminished value in Mississippi and surrounding areas such as Jackson | Gulfport | Southaven | Hattiesburg | Biloxi | Meridian. AutoLoss provides third-party diminished value appraisals to help consumers recover diminished value in North Carolina and surrounding areas such as Charlotte | Raleigh | Greensboro | Durham | Winston-Salem. AutoLoss provides third-party diminished value appraisals to help consumers recover diminished value in Kentucky and surrounding areas such as Lexington | Louisville | Bowling Green | Owensboro | Covington | Hopkinsville. AutoLoss provides third-party diminished value appraisals to help consumers recover diminished value in West Virginia and surrounding areas such as Charleston | Huntington | Parkersburg | Morgantown | Wheeling | Weirton. AutoLoss provides third-party diminished value appraisals to help consumers recover diminished value in Maine and surrounding areas such as Portland | Lewiston | Bangor | South Portland | Auburn | Brunswick. AutoLoss provides third-party diminished value appraisals to help consumers recover diminished value in New Hampshire and surrounding areas such as Manchester | Nashua | Concord | Derry | Dover | Merrimack. AutoLoss provides third-party diminished value appraisals to help consumers recover diminished value in Vermont and surrounding areas such as Burlington | Essex | Rutland | Colchester | Bennington | Brattleboro. AutoLoss provides third-party diminished value appraisals to help consumers recover diminished value in New York and surrounding areas such as New York | Hempstead | Brookhaven | Islip | Oyster Bay | Buffalo. AutoLoss provides third-party diminished value appraisals to help consumers recover diminished value in Pennsylvania and surrounding areas such as Philadelphia | Pittsburgh | Allentown | Erie | Upper Darby | Scranton. AutoLoss provides third-party diminished value appraisals to help consumers recover diminished value in Massachusetts and surrounding areas such as Boston | Worcester | Springfield | Lowell | Cambridge | Brockton | Surrounding Area. AutoLoss provides third-party diminished value appraisals to help consumers recover diminished value in Connecticut and surrounding areas such as Hartford | Bridgeport | New Haven | Stamford | Waterbury | Norwalk. AutoLoss provides third-party diminished value appraisals to help consumers recover diminished value in New Jersey and surrounding areas such as Newark | Jersey City | Paterson | Woodbridge | Toms River | Clifton. AutoLoss provides third-party diminished value appraisals to help consumers recover diminished value in Delaware and surrounding areas such as Wilmington | Dover | Newark | Pike Creek | Bear | Brookside. AutoLoss provides third-party diminished value appraisals to help consumers recover diminished value in Maryland and surrounding areas such as Baltimore | Columbia | Silver Spring | Dundalk | Wheaton | Bethseda.